Does anything happen if I update an addon? Yes, something MIGHT happen, so I won’t suggest you to update any addons. 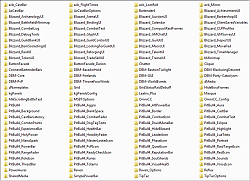 But these addons are up to date, and will be until the release of patch 4.3. In the time of new patches, I'll update the entire package for you. Changed the supported resolutions to: 1920x1080, 1680x1024, 1440x1050 and 1280x1024. 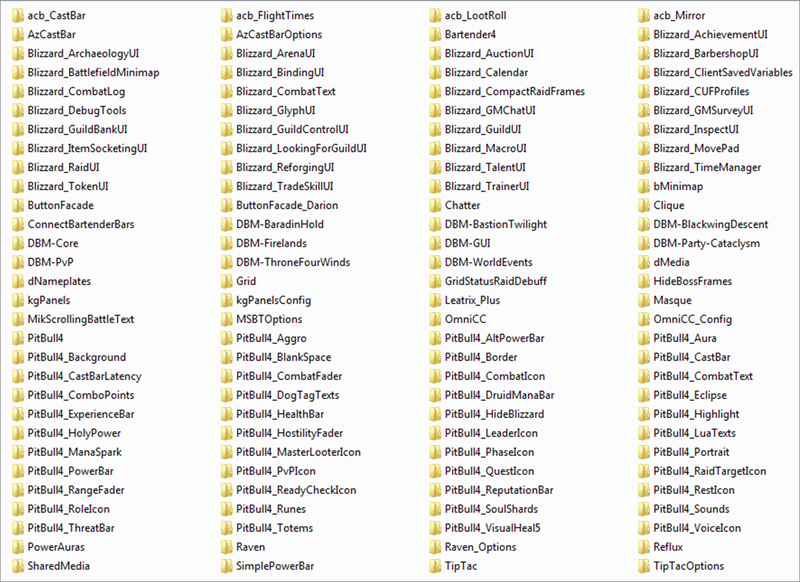 Updated most addons to make the UI compatible with patch 4.2, and changed the .toc file for the rest of the addons to make them appear up to date through login screen. This UI only supports one version now instead of two (Unique and Simple). 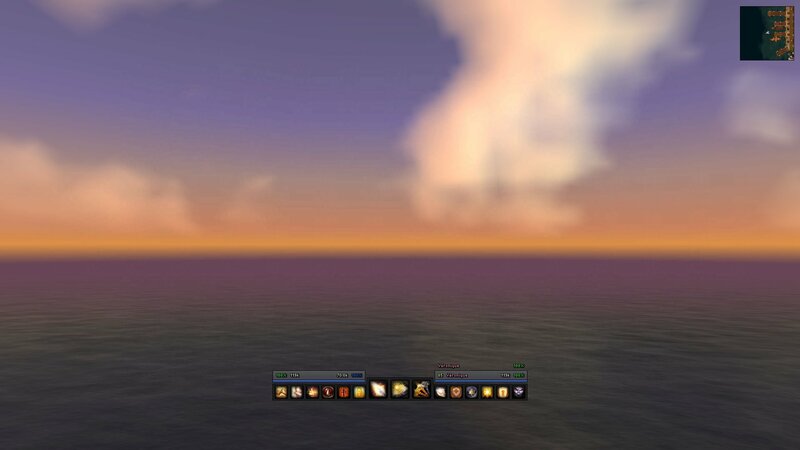 All addons are enabled through login screen, and addons not used are disabled in-game. Added following addons: Grid_RaidDebuffs, Clique, Raven, ConnectBartenderBars and SimplePowerBar. Removed following addons: BetterPowerBarAlt, Satrina Buff Frames and Skada. Changed font from Samson to Semplice Regular. Changed font to be monochrome outline for all addons using the Semplice Regular font. Increased height, padding, center icon size and max letters allowed in names. Added aggro indicator to border. Added duration to removable debuffs (magic, curse, poison and disease). Added a red top right corner indicator to show active tank cooldowns (Shield Wall, Icebound Fortitude, Survival Instincts and Ardent Defender). Removed manually added raid debuffs. Changed class colors to be more different from each other. Changed frames to be more faded out when people are out of range. Changed location and design for notification for Beacon of Light and Divine Plea. Changed design and animation for Holy Power, and added sound when there are 3x Holy Power. Added a notification for Daybreak. Changed border size to be 1 pixel thick. Added class color to character names. Changed chat names and character names to be more simple (ex. ‘[BG][iLive]:’ to ‘bg iLive:’). Changed all panel names to be more appropriate. Added three new panels to separate unitframes’ health and mana with a black line. Changed action bar 1 to fade out instead of permanent invisibility. It’s now visible when you move your mouse over the action bar in the top left. Added action bar 6 next to action bar 5 (the faded bar below other bars) to make the width equal to action bars above, and to allow more space for abilities. Changed cooldown indication to only appear for action bar 3 (the middle bar with three slots). Changed tooltip panel size to be 1 pixel thick. Changed all font settings to be consistent. Removed huge bar, so there’s only one bar for notifications. Changed font and font size for clock. Added player, target, pet, target’s target to black list. I have just updated all my addons, and i noticed that the addon called ButtonFascade(spelling errors ect) is now called Masque. And this reaaaaaaally messes up things. Fonts, Bars, and much more. This could help I'll try that out thx. Last edited by Ilary : 12-05-11 at 11:03 AM. This month is a very busy month for us students. No promises, but I will add it to my todo list. But what happens if you update all addons and enter the game? 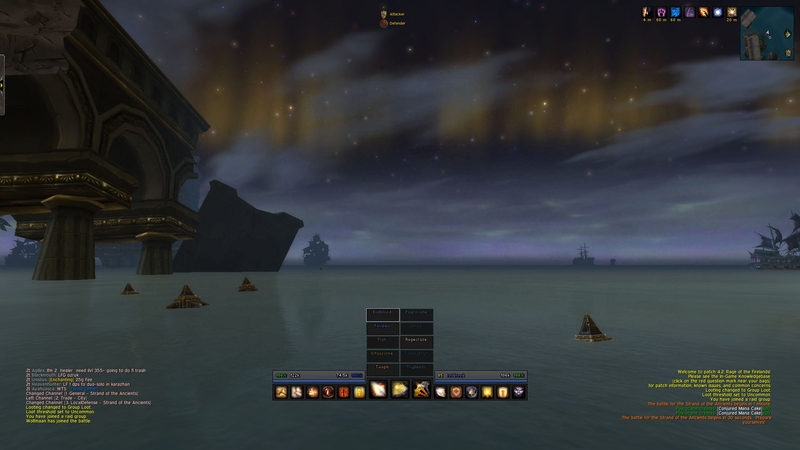 Can u please update this Interface for 4.3 ? Why would this single addon interupt everything else? Alright turns out the addon that you use for chat is not working correctly for me, which addon do you use for chat? In your idle screenshot, nothing shows but the mini-map and the central, player and few action bars. I just recently downloaded this and it is not doing this. 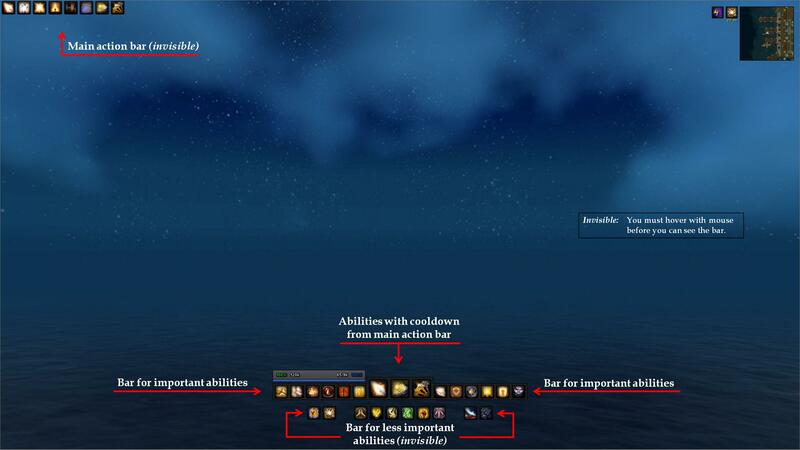 I came across your older version of this UI that you posted on MMO-Champ. Is it possible to still get this version? iLive user interface has been moved from Generic Compilations to Healer Specific Compilations, since it's these days only really supports the healing role. Last edited by prwraith : 10-07-11 at 08:07 PM. I am still using the "simple" one. I really enjoy it, and i have never tried out the Unique version at all. Is it much of a difference really? And my interface works just fine as it is now, no noticeable problems.